The Gesu have been officially included as part of the Yi nationality in China. In the 1950s the Gesu were one of 260 tribes and people groups in Yunnan Province who applied to be recognized as a separate minority. The Gesu are also called Gaoshanzu (High Mountain People) or Tuzu (Soil People) by their Han Chinese neighbors. It is possible that these two names represent two different subgroups of Gesu. 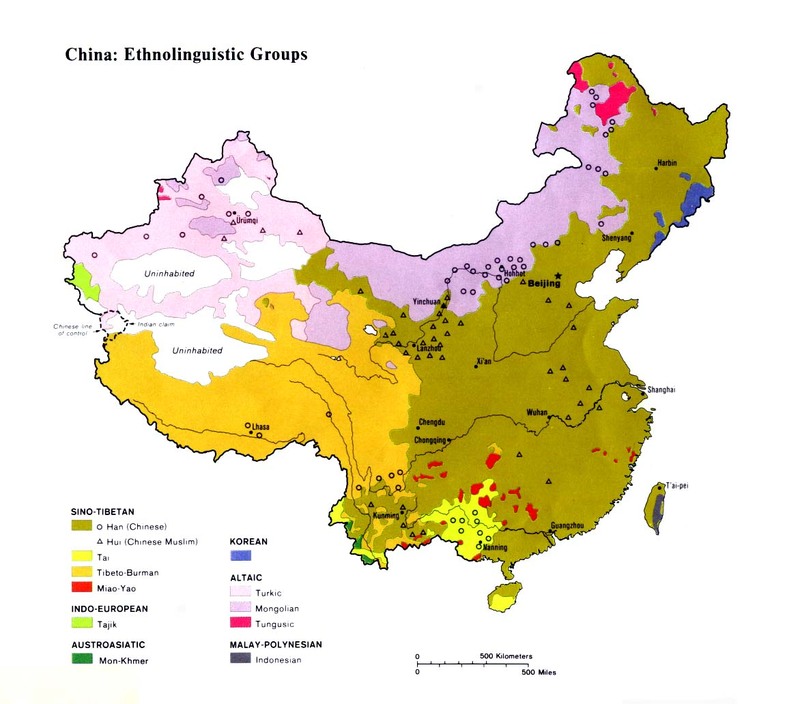 The various branches of the Yi are believed to have descended from the Di and Qiang peoples who migrated south to the Dianchi area in Yunnan and the Qiongdou area of Sichuan in the second century BC. After the Jin Dynasty (AD 265-420), the Cuan clan became rulers of the Dianchi region, northeastern Yunnan, and the Honghe River area. These places were later known as the Cuan area. Its people became the forerunners of today's various Yi tribes. Every year on the eighth day of the second lunar month, the Gesu living near Tanhua Township in Dayao County celebrate the Flower- Decorating Festival. The people get together, worship the mali flower, and have flower decoration competitions. They also sing and dance and generally have a good time with relatives and friends. Because it is usually still quite cold, bonfires are built to give warmth and to roast meat and corn. A similar celebration, called the Festival of the Mali Flower, is held on the same day in Wuding County, although the Wuding version of the festival focuses more on paying respect to the Mali Flower god and on giving the youth a chance to meet prospective partners from other villages. In addition to worshiping the Flower god, the Gesu worship the sun, stars, and moon. Perhaps their most-feared deity is the god of the Mountains. They believe large, powerful demons live inside the highest mountains in the area and must be placated to avoid disaster in their communities. No mission agencies have ever included the Gesu on their lists of people groups in China. They are a largely unevangelized and unreached people group. Because their villages are remote and because the Gesu have an independent mindset, they rarely travel into the towns or have any contact with other tribes. There are no gospel recordings available in the Gesu language. View Gesu in all countries. Location in Country: The authorities of the Chuxiong Prefecture in Yunnan Province listed a 1957 figure of 6,753 Gesu people. Their population is estimated to have grown to approximately 12,000 today. The Gesu inhabit villages in parts of Dayao and Wuding counties. Both are under the jurisdiction of Chuxiong Prefecture.